Air delivery from San Marino is the fastest way to transport goods. When you are sending cargo from San Marino, our agents will pick up the goods from the shipper; qualified staff will process and issue the export declarations as well as all necessary documents at the airport. Upon arrival, cargo will be taken at the airport with full customs clearance. The customer receives the goods without the need to issue documents by himself. We use the local airlines direct export, so the rates are lowest. Sending goods to San Marino will be done in a similar pattern. We are picking up the goods from the client, prepare them and send them to the consignee. We make preliminary calculations and operational booking. For advice and cost calculation please call +380 93 047 16 63 or complete the online request form below. Ocean transportation of cargo are carried by leading shipping companies CSCL, COSCO, WANHAI, OOCL, MSC, YANGMING, PIL, EVER GREEN, MAERSK, CMA, ZIM and others. These options are quick, reasonably priced transport by sea. We can arrange a door to door service from San Marino to European ports on the Black Sea and the Mediterranean Sea. Special containers: transportation of frozen cargo in refrigerator containers (Refrigerated) by companies: EVERGREEN, COSCO, MOL, APL, YML and MSC, which include the transportation of meat, vegetables, fruits, marine products. Trucking of goods in San Marino. Affiliate Network allows delivering the goods in San Marino by road to any place. We also have the opportunity to keep the goods at a temporary storage warehouse for customs clearance formalities and further delivery from San Marino. Customs clearance in San Marino. Documentation of import and export customs clearance, sanitary inspection, certificate of origin, other special customs clearance services in San Marino. Customs Brokerage Services in San Marino: applying for import and export, commodity inspection and other services related to customs formalities, transit services without the direct presence of the customer. Warehouse logistics in San Marino, storage terminals for consolidation and cargo handling. Warehouse services in San Marino: we can provide a wide range of warehousing services and storage of various commodities, transportation, distribution, packaging, labeling, weighing, measuring and other services for further shipment. If you want to carry the load (goods) from San Marino one-time or on an ongoing basis, we perform a full range of foreign economic activity. We assist suppliers in San Marino: search, check suppliers according to specified parameters. International contracts drafting, registration of shipping documents (invoices, specifications, packing lists). Settlements with suppliers, currency banking, currency purchase. 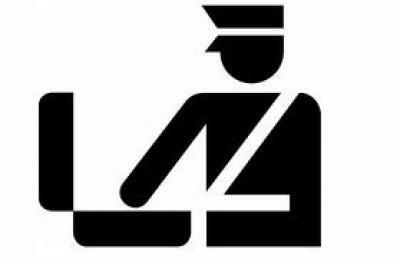 We carry out customs clearance of imports without accreditation by the customer at the customs office, which also eliminates the need of the customer for dialogue with representatives of the customs authorities and regulatory authorities. This service will speed up the procedure and the correct execution of foreign trade operations. We perform the least-cost transportation of cargo (goods) being able to use all kinds of transport (road, air, sea, railroad). We deliver single (samples) and complete shipments. In the complex, after the passage of the formal customs procedures, cargo is delivered to the customer legally "ready" to transfer to the trade or production. Consult +380 93 047 16 63. Cargo (goods purchased in San Marino) is sent to the closest warehouse in San Marino. Then it transports from San Marino to a warehouse in the recipient country. The customer can pick up the cargo (goods) by himself or we can send it by any courier service to the nearest convenient courier office. We can buy in San Marino and deliver goods, spare parts, equipment and other; pay your supplier (pay for the goods); to deliver in accordance with all laws and regulations of customs control and clearance, with the closure of export and transit documents (EX, T1); with payment of all taxes and duties and VAT refund, which will save you the cost of buying significantly in San Marino. 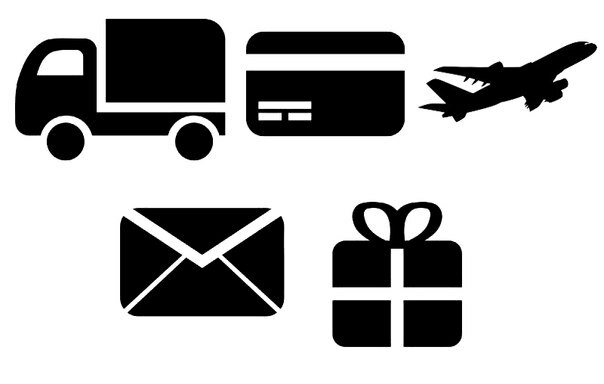 The transportation of personal goods without any extra inconvenience for the customer. The customer delivers the cargo (goods) to the warehouse by himself or sends to TBNcom warehouse with any convenient courier service. We perform customs clearance and transportation to San Marino. Federal postal operator of San Marino. San Marino post. San Marino post track and trace supported.